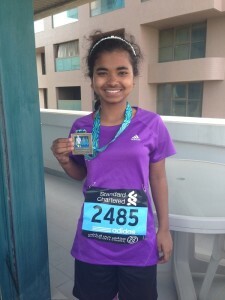 A 42km race could intimidate any 15-year-old, but student Shewly Aktar had an even bigger challenge in mind when she took her place at the starting line of the Dubai Marathon. 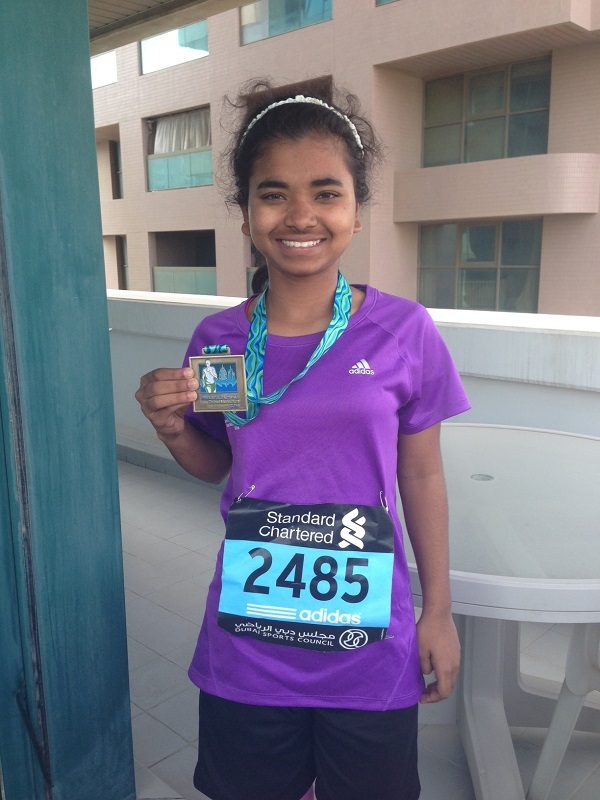 By finishing the marathon she planned to help raise funds to build a nursery and sports centre in the slums of Dhaka. Shewly is one of the students that the Maria Cristina Foundation sponsored so that she could get access to a better education in Dubai. Every holiday she goes back to Dhaka to help other children in the slum community. From teaching them how to read and write, to helping them learn computer skills, Shewly is determined to give her free time to helping others. What was the hardest part of the run for you? Around 20km to 21km was the hardest part. I felt terrible. I had no energy and my legs felt so painful. How did you push through? Water and energy gels helped, but the main thing which pushed me was the need to finish the marathon to gain awareness of my mission to raise funds to help my childhood friends that are still living in the slums of Dhaka. I want to open a nursery and a sports centre in the slums of Dhaka this summer and so far I’ve raised Dhs1,000. I hope to do many more marathons if I can. What was your favourite part of the run? The beginning and the end, but definitely not in between!